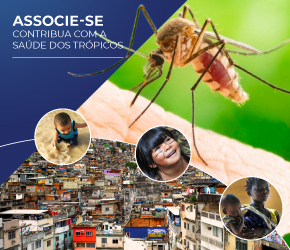 Since its foundation in 1962, the Brazilian Society of Tropical Medicine (SBMT), has always maintained a technical-political commitment to support public and private agencies involved in the fight against and control of tropical, infectious and parasitic diseases. It respects the guidelines of the SUS (Unified Health System), and promotes and encourages studies and research on the numerous aspects of Tropical Medicine (epidemiological, etiological, clinical, pathophysiological, therapeutic and preventive). These studies assess the socio-economic, political, environmental, physical, and biological determinants and conditions of tropical diseases, and give technical and scientific advice. SBMT promotes continuing education and orgainizes meetings, conferences, courses and symposia on an international, national and regional scale on issues related to Tropical Medicine. It promotes cultural exchange with scientific, domestic or foreign institutions and disseminates technical and scientific knowledge related to Tropical Medicine. The Journal of the Brazilian Society of Tropical Medicine, published bimonthly, is the Society’s official journal, which discusses subjects of interest in the field of tropical diseases; it is indexed with the ISI and has a strong reputation in the national and international scientific community. The Brazilian Society of Tropical Medicine has a multidisciplinary character. Its team of staff includes professionals from different fields of health, such as entomologists, epidemiologists, parasitologists, pathologists, immunologists, biologists, nurses, pharmacists, physicians, ecologists, sanitary engineers, researchers and university professors. This comprehensive approach fosters a greater understanding of issues related to the prevention, control and management of diseases, as well as the pathogenesis and epidemiological, socio-economic-political and environmental conditions of major endemic infectious diseases in the country. 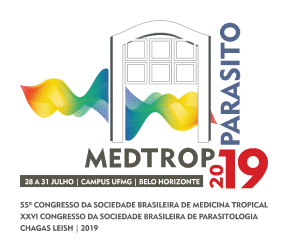 Each year it promotes the Brazilian Society of Tropical Medicine Congress, which stimulates exchanges with national and international researchers and partnerships with public and private agencies. It creates recommendations that improve the training of health and health care professionals, at their different levels, with actions of promotion, prevention, recovery and rehabilitation of health, from the perspective of comprehensive care, with social responsibility and commitment to citizenship.